Now that Jill Stein’s recount effort in Wisconsin, Michigan and Pennsylvania has already been largely funded by donors, it raises the question of what happens next. Wisconsin officials have confirmed that they’re now preparing for a recount, and based on state laws, there is every reason to expect the other two states to agree to Stein’s requests. I’ve been asked what happens if, at the end of the recounts, all three states determine that Hillary Clinton won. The answer is that she becomes President. 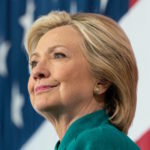 Those still hoping to find a way to get Hillary Clinton into the White House, or to simply keep Donald Trump out of the White House, shouldn’t get their hopes too high. All three states in question would need to determine that Clinton was the actual winner. That’s not too much to hope for in Wisconsin, where Trump won the state by only around twenty thousand votes, and where mounting irregularities in Trump’s favor suggest that the recount truly could shift the state to Clinton. Nor is it too much to hope that Michigan, where Trump’s lead is just ten thousand votes, could flip to Clinton as well. But Pennsylvania is something of a different story. The state officially lists Trump as having a seventy thousand vote lead. That’s still just over one percent of the vote, due to the sheer size of the state’s population. The greater concern in Pennsylvania is that most of the precincts don’t have a paper trail, making it more difficult for the recount to expose any fraud that may have taken place in the state. Although Jill Stein’s recount effort does not appear to be a specific attempt at helping Hillary Clinton, there is no denying that these three recounts do happen to be in precisely the three states which Clinton would need to flip – which is why Hillary’s supporters have been donating millions to the cause. And in the unlikely event that the recounts in all three states do conclude that Clinton was the actual winner in each, the Electoral College votes for those three states would be reassigned to her. That would put her national total over 270, and – barring any further hijinks – Hillary Clinton would indeed become President instead of Donald Trump. While it’s an unlikely scenario, it is a rather straightforward one.